How Long Does it Take to Get Guitar Callouses? Note: this article is not intended to provide medical advice, which can only be provided by a qualified medical professional. If you’re just starting to play guitar, a number of physical changes will likely take place in your body, but the most noticeable will be your hands. Guitar strings are made of metal, except for classical guitar strings which are made of plastic. Steel strings are wound tightly and result in well over 100 pounds of pressure on the guitar’s neck. You have to use your soft human fingers to push those strings down, and sometimes you even have to pull them out of tune as when using the string bending technique. The result is that your fingers are probably going to hurt a bit, at least at first. If you experience discomfort in your fingers, it’s probably only temporary. 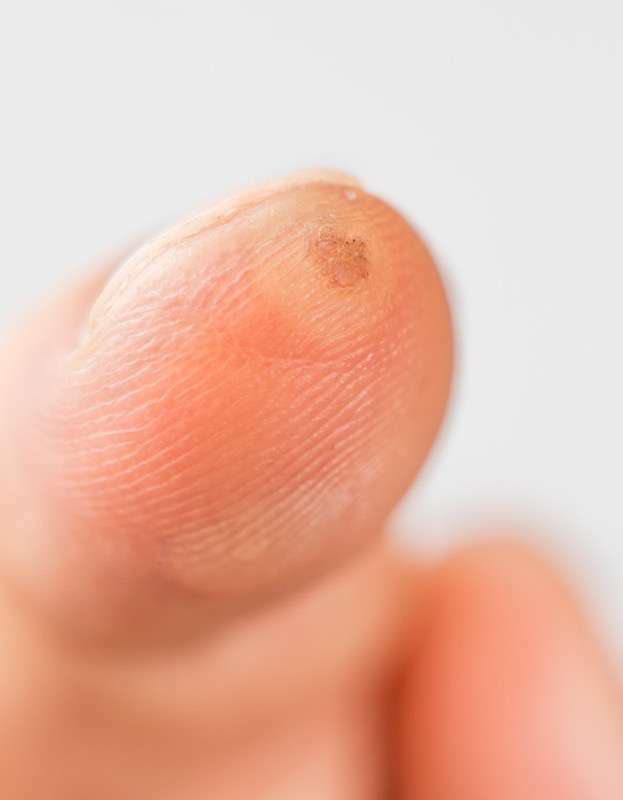 With the rare exception of some sensations that could indicate nerve damage, such as the prickling, tingling or numb feeling, you are most likely just feeling discomfort because playing guitar is difficult and it hurts a little at first. Hang in there and keep at it. Most learners report the discomfort diminishes after the first few weeks, and within 3-6 weeks there is very little discomfort—if any at all. Take a break if your hands are bothering you. Practice success is measured by a few drops every day, not a whole glass all at once. For the time being, avoid painful techniques such as slides, pull offs, and bends. Detune your guitar strings one whole step, from EADGbe to DGCFad. This reduces the tension. Try the absolute lowest gauge strings you can find. For acoustic, you can use 10’s and for electric you can use 8’s. Your local music store may not stock super-light strings, but you can order them online. Bring your instrument to a qualified repair person and ask them to set it up to make it easy to play, including lowering the action as much as possible. This can make a huge difference. For acoustic, consider buying a set of Silk and Steel strings, which have a soft coating on them. Try replacing your strings with softer Ernie Ball Silk and Steel Strings (10)[? ]Affiliate Link. If all else fails, and you find the discomfort intolerable, consider getting a classical guitar. Note that it is not usually possible or advisable to fit a steel string guitar with classical guitar strings. You’d want a whole new guitar. 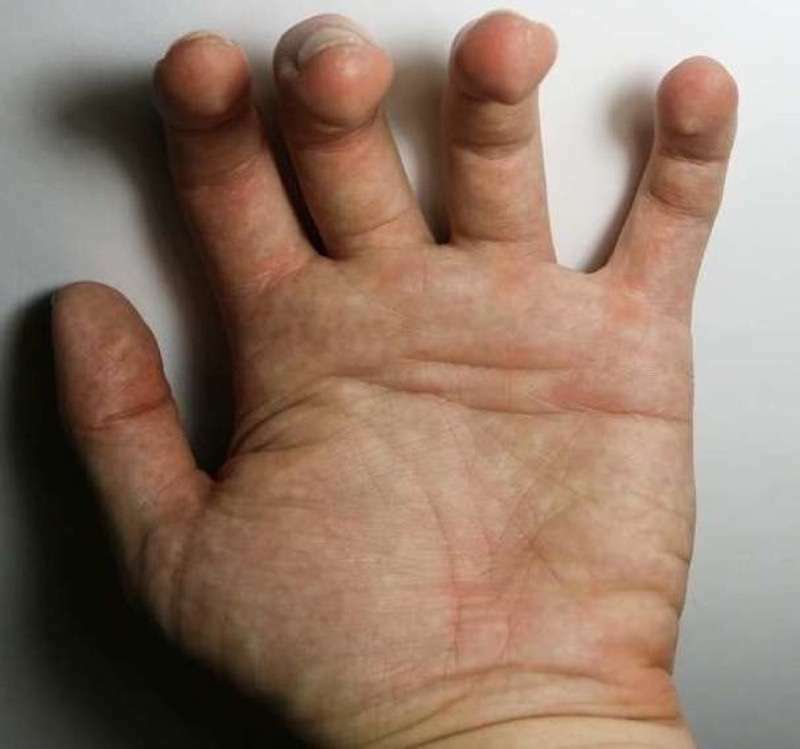 Sometimes excess skin callous on the tips of the fingers will protrude or even get caught on a guitar string. This annoyance is easily remedied. You can use a Skin File[? ]Affiliate Link if for some reason the callouses are dry and rough. More likely, though, they will be peeling. If the skin is loose, taking a hot shower and carefully trimming off dead skin can be helpful. Do not bite or tear at them, as this can rip off healthy skin. Special care is required for blisters, as continued irritation of them will slow down the healing process. A blister on your left hand, though rare, may require a break from practice. Blisters from fingerpicking can be alleviated by using a pick, or fingerpicks, or maybe even a small bandage. Open blisters can sometimes be treated with medical glue, but the best remedy is time and rest. If you feel a short break is necessary, take it. A short period of time away from guitar practice is not the end of the world. Consider working on your ear training or rhythm skills instead. Alternatively, you could study music theory. There are many musical skills you can learn during this brief time, so don’t use it as an excuse to slack entirely. Use that practice time for some other productive purpose. After you’ve gotten used to playing the guitar, it is likely that you will not have visible callouses on your fingers. Instead, the skin on your fingers will thicken and get tougher, rendering you more or less immune to the discomfort experienced by beginners.